Outside Europe, the “voyage of discovery” for non-EU managers in relation to AIFMD is almost complete and coupled with the drive to access EU institutional investors, the non-EU funds community is starting to go beyond the usual private placement regime and access funds via a Luxembourg parallel vehicle. This vehicle usually sits alongside a non-EU “master” vehicle. The structure usually comprises several parallel funds which co-invest in the same assets, presenting managers the challenge of operating multiple cross jurisdictional vehicles whose investors will require equal treatment. Luxembourg is the most common destination to establish parallel funds to access European capital under AIFMD. These are often sponsored by non-EU fund managers and the vehicles invest alongside a Jersey or Cayman Master fund (although the parallel vehicle can be bigger than the master fund). Since 2016, in Luxembourg, investment funds can also be structured as a limited partnership (“Lux LP”) which can operate in very similar ways to Anglo-Saxon limited partnerships. A Lux LP also has the advantages of being a flexible vehicle free from corporate law overrides whilst maintaining limited liability for investors. It further benefits from the EU AIFMD management and marketing passport. As of today, more than 1,000 Lux LPs have been established. Generally, a parallel fund will co-invest and divest alongside the main fund (the “Master”) at the same time and pro rata based on their respective commitments. It is formed under substantially the same terms as the Master, with some limited differences to accommodate the regulatory, tax or other investment requirements applicable to the investors within the EU. For any structure operating under AIFMD, an AIFM and a Depositary have to be appointed. If a parallel is set-up in Luxembourg as a Lux LP, then it needs to be domiciled in Luxembourg, have a Luxembourg Depositary and be managed by a Luxembourg General Partner. Each of these functions and requirements need to be built into the overall fund operating model. When thinking about the operating model, it is crucial for the fund manager to keep in mind that the Master and the Parallel(s) are clearly separate vehicles from a legal perspective. This will need to be properly reflected in the Limited Partnership Agreements and be clearly understood by the different parties/service providers involved. The role of the AIFM (for the investment process) and the Central Administrator (for the NAV calculation and tax reporting) is key and both are required to have a good knowledge of the structure in order to properly apply the operating model. AIFMD and OECD measures against BEPS have generated an overlay of different requirements which have significant impacts on the investment decision-making process applicable for any investment funds. It can be difficult for a non-EU fund manager, who needs to set up a parallel vehicle (with full AIFMD authorisation) investing alongside a non-EU master fund, to truly grasp the practical consequences of such requirements. One of the most significant is the duplication of the investment decision-making process as the AIFM and/or the Board of the Parallel need to demonstrate that they have full power and authority, on behalf of the Parallel, to make all significant investment decisions even if they invest in practice in the same assets as the Master. However, Luxembourg has adopted a pragmatic approach to the implementation of the AIFMD. Different options are available when it comes to setting-up the AIFM, ranging from self-managed AIFs to third-party AIFMs for asset managers preferring not to establish their own AIFM platform. If a third-party AIFM is used, any “key man” provision needs to be properly considered as they need to be involved in the investment decision process, whilst easing ultimate decision of the AIFM. Maintaining identical, or comparable, returns on all of the parallel funds requires managers to define clear allocation rules of income and expenses as well as appropriate processes and controls. This is complicated by the need for expense approval processes for the Master and for the Parallel(s) to be clearly segregated. We may see expenses recharged by the Master to the Parallel(s) through current accounts, and in that case appropriate controls have to be implemented over the re-invoicing process and over related party lending arrangements. The performance of an investment fund is mainly driven by the fair value of its investments. Generally, as the Parallel holds minority interests and its investments/assets are composed of the equity contributions injected into the underlying SPVs. In that case, for the purpose of the NAV calculation, the assets are usually measured at fair value using a net equity “pick-up” approach determined in accordance with IFRS (including the fair value of the underlying real assets) and pro rata based on their respective commitment. It will be essential for the AIFM to have a clear understanding of the intended assets of the Parallel before drafting the valuation policy, and this means having a detailed overview of the structuring and how the Parallel will invest into the different projects. Furthermore, as fair value will normally be used to value the assets recorded in the financial statements, the AIFM will have to ensure that the valuation policy will be consistent with the recognition and measurement principles applied for the preparation of these accounts. It could be valuable to involve the auditor and the Central Administrator of the fund in the review the valuation policy. Moreover, it will also be essential for the AIFM to ensure that the allocation of the participating interests between the Master and the Parallel(s) is properly reflected/updated in the corporate legal documents of the underlying SPVs. 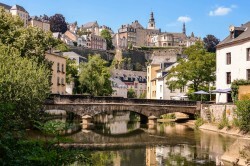 A fund vehicle established as a Lux LP will be considered as fiscally transparent for Luxembourg tax purposes and will not be subject to Luxembourg corporate income tax and net wealth tax in its own name. Given this transparency, the taxation will be assessed at the level of the limited partners in their domicile and Luxembourg withholding tax would not normally be levied on the distributions/redemptions made by the Parallel fund. The Fund Manager may, upon the request of the investors, furnish them with the information they need for their various tax filings. This type of service is usually specified in side letters contracted between the General Partner and the limited partners, and the Central Administrator may be able to provide assistance to the Fund Manager. The general partner of the Lux LP will be a fully taxable company and does not benefit from any special tax regime. Its costs are typically invoiced to the Lux LP as part of the agreed fee arrangements. Notwithstanding the challenges, we are certainly seeing more and more master/parallel structures being established. This type of structure may require a redefinition of the operating model as well as the delegated activities, but always with the twin objectives of having a strong internal control environment as well as cost efficiency. Provided that all parties are aware of the additional issues and agree and document an operating model and a Service Level Agreement for all processes in advance, they should be able to work together and this operating model should enable the fund manager to deliver accurate financial information to investors in timely manner.